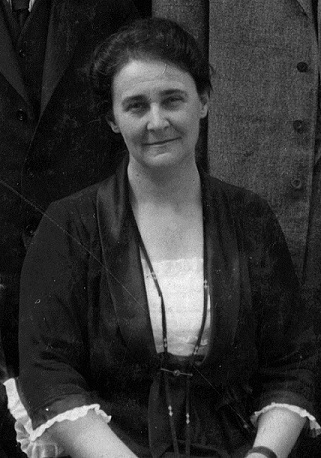 Alice Fitzgerald (class of 1906) remained in Europe after the war as Chief Nurse of the American Red Cross Commission in Europe starting in May 1919. She oversaw the demobilization all of the American Red Cross nurses still serving in Europe. In October 1919, she became the first Director of the Nursing Bureau of the League of Red Cross Societies in Geneva. She organized local nursing schools and public health nursing services according to American nursing standards in Poland, Czechoslovakia, Romania, Hungary, Yugoslavia, Montenegro, and Albania. She started the International School for Public Health Nurses for the Florence Nightingale International Foundation in London. She briefly returned to the United States in the fall of 1921, and then traveled to Asia throughout the 1920s for the Rockefeller Foundation to organize a public health nursing service in the Philippines and survey nursing needs in Siam, Hong Kong, Singapore, and China. She received numerous medals for her efforts to lead nurses in post war reconstruction and public health efforts based on an American standard of nurses training, some of which are included in the gallery below. To learn more about Fitzgerald's work during the war, visit the exhibit's section on Alice Fitzgerald's service with the British Expeditionary Forces.